Animal Welfare Today: Why do some people hoard animals? According to the Mayo Clinic, “hoarding disorder is a persistent difficulty discarding or parting with possessions because of a perceived need to save them. A person with hoarding disorder experiences distress at the thought of getting rid of the items.” It is easy to look at the filthy conditions that these people find themselves in and accuse them of horrible things. But it is important to remember that hoarding is caused by a very real and very tragic mental illness and that those who suffer from it believe that what they are doing is right and good. The Houston SPCA takes its job very seriously. Our mission is to promote commitment to and respect for all animals and free them from suffering, abuse and exploitation. But we would be remiss if we ignored the people who are suffering alongside the animals. Those with hoarding disorder need as much help as their pets. They are living in the same squalid conditions, usually suffering from severe physical ailments. That is why we frequently work closely with Adult Protective Services to ensure that when we remove animals, the owners of these pets receive the care that they so desperately need. Most of these people never intend to hoard animals. They often start with just one or two that they’ve rescued or taken in. Sometimes neighbors and friends will find animals and bring them to the house. Sometimes they’ll open their home to strays. Due to the mental state of a person with hoarding disorder, they will rarely turn down or give up animals. They frequently go without food and medication for themselves in an attempt to care for their pets. 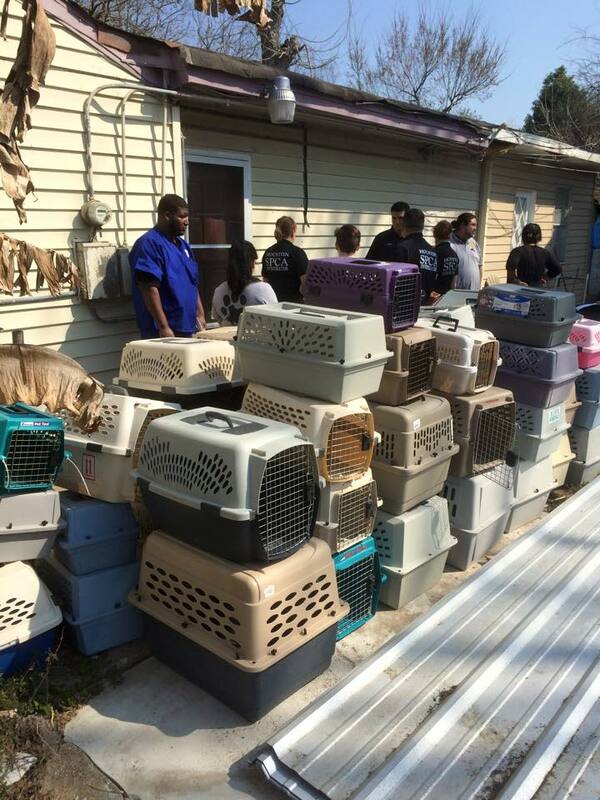 But usually a lack of resources prevents them from providing proper veterinary care, including spaying and neutering. As numbers multiply they try their best to keep up, but a combination of being overwhelmed and physically unable to attend to all their animals leads to the miserable conditions we so often see. One of the benefits of social media is that it spreads information quickly to a huge audience. But the audience can often react without fully understanding the situation, leading to quick and sometimes brutal judgment. When we share our stories of animal cruelty and neglect, it is not to invite public ridicule and scorn, but rather to educate and prevent it from happening again. We hope that by sharing pictures from hoarding rescues, we can educate people to see the early signs of hoarding disorder and intervene on behalf of both humans and animals. These people will rarely, if ever, ask for help because they are ashamed of what they’ve become and they’re afraid of what might happen to their pets if they stop caring for them. While they may not ask for help, you can. If you suspect a hoarding situation, report it. 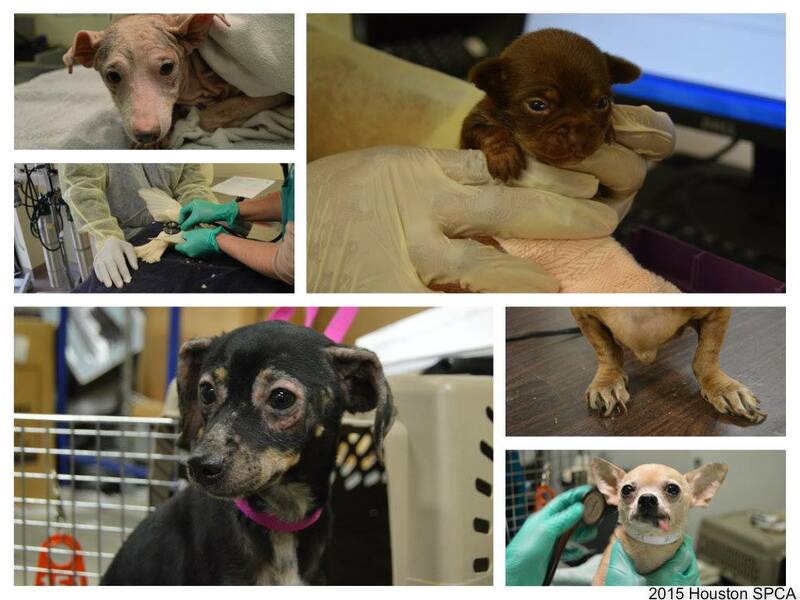 The Houston SPCA and its partners in law enforcement and social services stand ready to help. Categories: Houston SPCA | Tags: Animal Cops: Houston, Animal Hoarders, Animal Hoarding, Animal Rescue, Animal shelter, Animal welfare, AnimalCopsHouston, Dogs, Houston SPCA, Houstonspca, Pets | Permalink.